The feeder uses a conveyor belt to dispense food for the best portion control and accuracy. 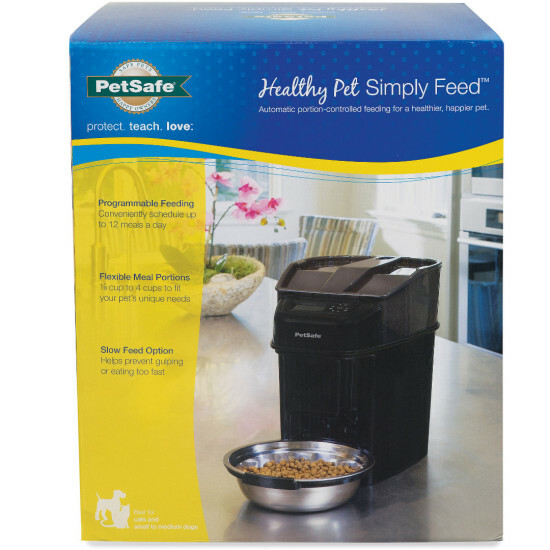 The feeder works with most dry kibble and semi-moist pet foods. You can customize your pet's meals with flexible portions from 1/8 - 4 cups and up to 12 meals per day. The Slow Feed option dispenses scheduled meals slowly over a 15-minute period to help prevent gulping, vomiting, and bloat. The stainless steel bowl is hygienic and easy to clean; just toss it in the dishwasher when it gets dirty. With portion control and a consistent feeding routine, it's easy to manage your pet's weight or help with weight loss for your overweight pet. Hopper holds 24 cups of dry food. Bowl holds 5 cups of food. Conveyor dispenses most dry and semi-moist pet foods. Don't use with wet or canned food. Say goodbye to early morning wake-up calls, guessing whether your pet has been fed, and the daily chore of pet feedings! The Healthy Pet Simply Feed is a convenient, stress-free way to feed your pet and simplify your life. Your pet gets fed on time whether you’re asleep, at work, or away. 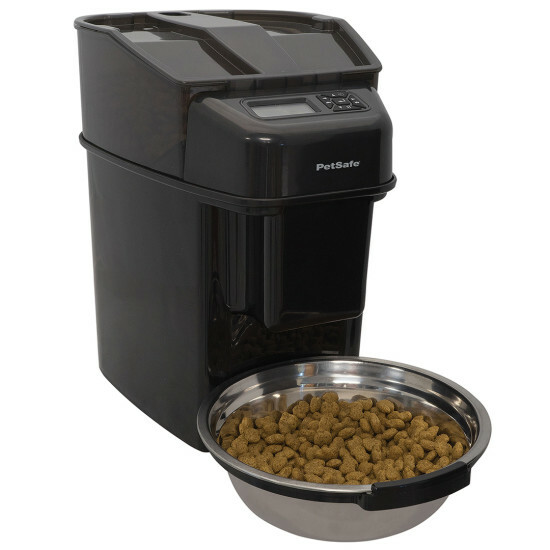 Setup is quick with the preset dog or cat feeding schedules that dispense 2 meals a day at 8 am and 5 pm. Or you can choose to customize your pet’s meals instead. With up to 12 meals a day and flexible portions from 1/8-cup to 4-cups, you can schedule a feeding routine to fit your pet’s needs. Cats especially benefit from eating several small meals throughout the day. If your pet gulps his food or eats too fast, the unique Slow Feed option is the perfect way to help prevent stomach bloat and vomiting. Slow Feed dispenses each meal over a 15-minute period, which helps improve digestion. Need to give an extra meal or skip the next meal? With the touch of a button, easily dispense the next scheduled meal sooner than programmed with the Immediate Feed option. 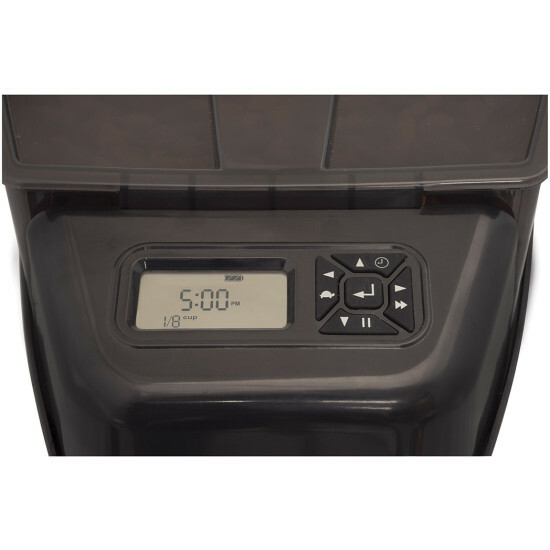 The Pause Feed option temporarily stops the feeder from dispensing food without losing your programmed settings. This is useful if you want your pet to skip a meal or go on vacation with your pet for a few days. 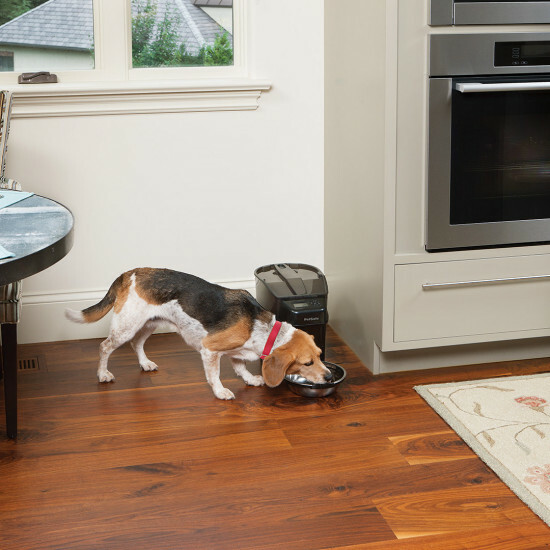 When Pause is removed, the feeder picks up as programmed with the next scheduled meal, so you don’t have to re-program your pet’s meals. Have an overweight pet? The Healthy Pet Simply Feed helps with proper weight management by giving your pet portioned feedings and consistent routine. Your pet will be healthier and happier! Talk to your vet about creating a comprehensive weight loss program by combining portion control with exercise. The conveyor belt dispenses most dry and semi-moist pet foods. 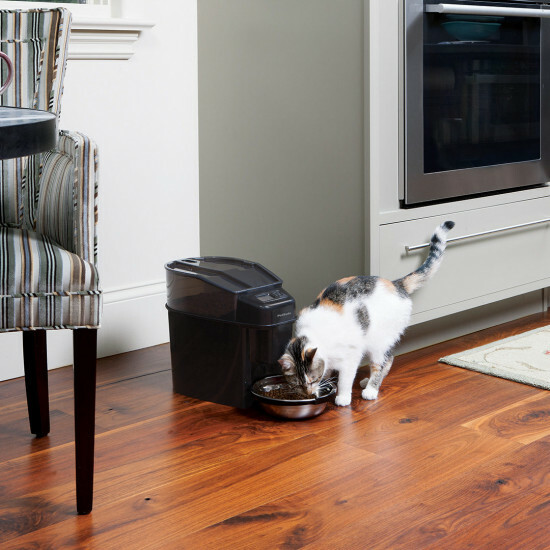 The locking lid and pet-proof dispenser keep your pet from getting into the food. 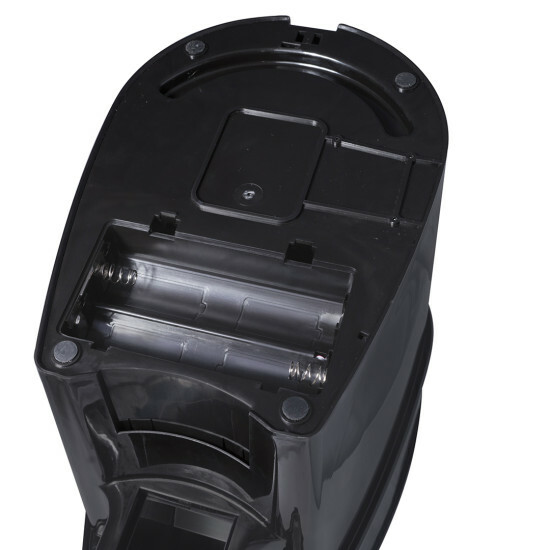 The hopper holds 24 cups of food for fewer refills, and the lid is see-through to quickly view the food level.